The Music Box and the Gene Siskel Film Center can still run 35mm and do with great frequency for repertory programming, but as far as first-run art-house movies go, the 35mm well pretty much dried up by mid-2012. 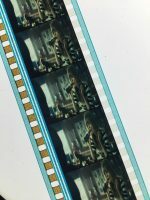 Any subsequent runs on film would be anomalies, usually at the request of the filmmakers à la Son of Saul or The Love Witch, and many independent and arthouse titles that were shot on film didn’t have the luxury of 35mm release prints (most notably Certain Women, Queen of Earth, the partially-shot-on-65mm Sunset Song). Did anyone care? At the time I remember expecting a major uprising of cinephiles, projectionists, filmmakers, and exhibitors decrying this swift, violent, and thoughtless destruction of art. The reaction was much more mixed, and in some cases non-existent. So little affection was reserved for multiplex viewing of Hollywood drivel that to many it must have seemed about as important as the brand of nacho cheese changing. A handful of weirdos (myself included) simply stopped going to see first-run movies as often, but for most audiences the change was unnoticed. Some filmmakers were very vocal about the transition. In 2009, at a time when many theaters had both film and digital screens, Quentin Tarantino demanded that any theater that could show Inglourious Basterds on film had to show a print. Paul Thomas Anderson politely, audaciously shot The Master on 65mm in 2012, making the first new 70mm prints for a first-run release since Titanic (1997). Others used the moment to broadcast their unyielding disgust at the format (Steven Soderbergh being among the most petulant, as can be seen in the horrific 2012 documentary Side by Side), and many more seemed resigned to the fact that exhibition on DCP was what would come to pass on all screens and in all markets. Chicago had outspoken proponents of 35mm exhibition in the press: Ben Kenigsberg covered the state of conversion in a March 2012 article for Time-Out, Michael Phillips pondered the effects of DCP on Drive-Ins in 2013, and Roger Ebert railed against multiplexes’ abhorrently dim digital images in 2011: “Do you remember what a movie should look like? Do you notice when one doesn’t look right? Do you feel the vague sense that something is missing? I do. I know in my bones how a movie should look.” Meanwhile, hundreds of projectors were being hauled off for scrap metal, or more often pushed to the corners of a brightly lit, winding multiplex booths, their sound and power cables unceremoniously snipped and coiled up. One technician friend recounted a story of a theater manager gleefully tipping a Kinoton 35mm projector into a dumpster. Magic Mike XXL on Kodak 2383 Stock, Print by Fotokem. Gorgeous! By 2012, seeing a new Hollywood movie movie on 35mm had become a very rare thing. The Gene Siskel Film Center valiantly programmed second run titles on 35mm for as long as they could get them. If you wanted to see Inherent Vice (2014), Irrational Man (2015), To the Wonder (2012), or Lee Daniels’s super-16 masterpiece The Paperboy (2012) on film, the Siskel was the only place it was going to happen. If you wanted to see Lincoln (2012) on 35mm, it would have to be at the Northbrook Public Library. Doc Films programmed their second-run series with as many new 35mm prints as they could get, which on some calendars wasn’t any. Midnight programming at the Music Box gave audiences a rare chance to see Spring Breakers (2013) on 35mm, followed up in 2016 by Mad Max: Fury Road (2015) and Magic Mike XXL (2015), two digital born movies that benefitted tremendously from all the color and contrast that Kodak’s print stocks could afford them. By the end of 2013, it could no longer be taken for granted that any major studio title would get a 35mm release. Paramount announced Anchorman 2 would be their last 35mm run, though they backtracked on that in a big way with Interstellar, which had over 200 35mm prints in the US, and later on Star Trek: Beyond, Teenage Mutant Ninja Turtles: Out of the Shadows, and Jack Reacher 2. Obsessives would comb the end credits of films for a “print by Fotokem” logo, but even that wasn’t a sure indicator: credit scrolls could be hastily put together from old templates, and many titles still had an SDDS (Sony Dynamic Digital Sound) logo, even though there hadn’t been a SDDS release since February, 2013. A 35mm Diet Coke Ad starring Taylor Swift provided to theaters by Screenvision Media circa 2013. Booths Old and New: (Left to Right) Market Square Screen One, the Glendale Galaxy, and a boothless digital screen at Arclight Chicago. Venues like Market Square and Park Ave wouldn’t have been anything special ten years ago, but now they represent a one-of-a-kind experience. When programmers talk about a rare print, they’re usually thinking of an IB Tech print of Vertigo or The Conversation, but what will become of prints made in past two years? In 2007 the print run for a movie like Sully would have been around 3,500, but the print I saw at Market Square is likely one of less than twenty. 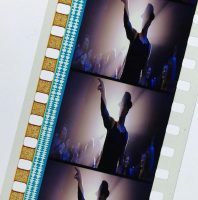 As part of its collection of Oscar-nominated films, the Academy Film Archive received 35mm prints of Sully, Fantastic Beasts and Where to Find Them, and La La Land, the last of which screened only twice publicly at the New Beverly. Carol (2015) had a limited run in England on 35mm and only two prints were made, one of which eventually made it over to the Metrograph in New York for a handful of sold out shows. Cinematographer Ed Lachman paid for the prints himself. In July 2014, Kodak reached an agreement with Warner Brothers, Sony, Paramount, Fox and Disney to buy an undisclosed minimum amount of film stock for an undisclosed period of time, effectively breathing new life into the company’s film division after emerging from Chapter 11 bankruptcy in 2013. 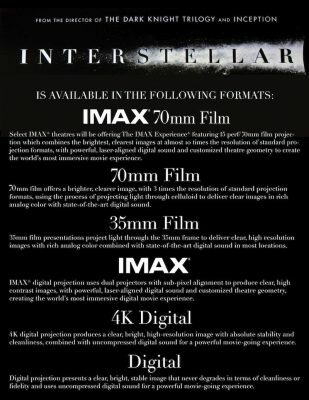 Christopher Nolan’s Interstellar was released a few months later, with “presented in 70mm IMAX film, 70mm film, and 35mm film” taking the place of the “RealD 3D” tag at the end of its trailer (this was especially effective if the trailer was being run on a dimly lit projector at AMC). A little over a year later Quentin Tarantino’s Hateful Eight opened on 100 screens on 70mm, an exceedingly unbelievable event because a few months prior, there were only a couple dozen venues that could show 70mm. Samuel L. Jackson appeared in a Hateful Eight featurette wearing a Kodak hat. The world was saved, for the moment. Warner Brothers followed up with 70mm releases of two of its recent tentpole titles, Batman v. Superman: Dawn of Justice and Fantastic Beasts and Where to Find Them, with Wonder Woman, Skull Island, and Dunkirk slated for later this year. Film isn’t going anywhere, but it’s never going to be normal again. The small crowds of people seeing Sully at Market Square will be the very last to witness 35mm film projection as a common, no-frills occurrence. No more massive booths with a dozen Century projectors and platters whirring away, and no more 35mm trailers and bumpers, often the most enchanting pieces of glorious cinema detritus. Any repertory or archival prints are now (mostly) recognized as one-of-a-kind objects, rightfully requiring hefty insurance policies and white gloves. Photochemical film exhibition will be alive as long as somebody wants it, but the eventual loss of 35mm as a first- and second-run format is a lousy step backwards. Sully closed at Market Square Thursday, 2/9/2017, and Fantastic Beasts and Where to Find Them opened last Friday, three months after its initial opening weekend; it may well be the last film they screen on 35mm – a rare archival print. This entry was posted in Blog and tagged 35mm, 70mm, film projection, moviegoing, multiplex. Bookmark the permalink.